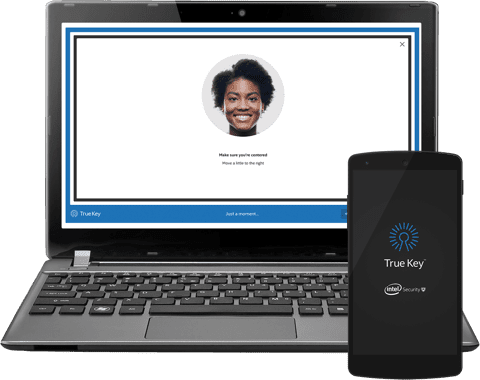 Intel and McAfee antivirus company are working on True Key, which will be used to unlock your devices with Facial Recognition. They have developed a multi-factor authentication system which having to of the most amazing features of face recognition and fingerprint. This Application is yet in development mode but early version is released to selective people. The functionality of the application is very awesome but awesome. You just have sit in front of camera and this will identify your face using your face mathematics- distance between nose and eyes etc. This is the LaunchPad of True Key where your passwords of different web logins are stored. Currently this is supporting the Chrome and Internet Explorer but others will be added soon. A perfect password manager for Your devices. A very interactive feature of this plugin is to store your notes safely inside it. Only you can access them anytime. Intel also assures you the privacy so you don't have to worry about agency guys as well. No Worries about storing the Contacts, Credit Cards, Licenses and Other important documents securely. Interactive and User-friendly interface will help you to access it in time. This is what the True Key offers You. You don't have to remember too many passwords now. Because Trye Key will help you to store all your passwords into by using a single master password. Just memorize it and your life will be more secure and easy. A verification link will be sent to your email. You will be able to login if your verify yourself by clicking on that link. A Notification will be sent to your second device where you will confirm the login.